PHOENIX -- A judge presiding over a racial profiling case against Sheriff Joe Arpaio of Arizona handed down the first round of punishments Wednesday for the lawman's decision to prolong his signature immigration patrols months after he was told to stop. 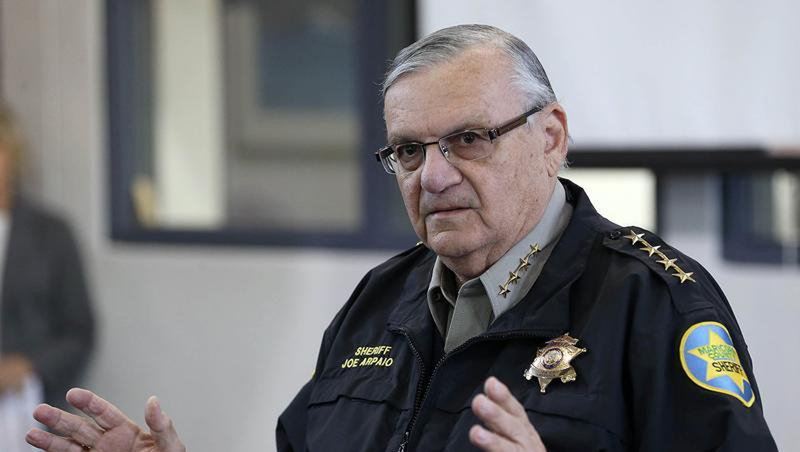 U.S. District Judge Murray Snow ordered an overhaul of internal affairs investigations at the Maricopa County Sheriff's Office after previously finding Arpaio in civil contempt of court for disobeying him. Additional penalties are expected against the 84-year-old lawman who calls himself "America's Toughest Sheriff" and built his political reputation by cracking down on immigrants in the country illegally. Snow previously found that internal investigations into officer misconduct were fraught with biased decision-making and had been manipulated to shield sheriff's officials from accountability. The issue emerged after traffic-stop videos that were withheld at the profiling trial were later discovered at the home of an officer who had been arrested on suspicion of theft. Criticism of internal investigations kept cropping up as the judge questioned who at the sheriff's office was responsible for disobeying his orders. Snow is considering recommending a criminal contempt case against Arpaio and top aide Jerry Sheridan that could expose them to fines and even jail time. The judge is expected to order Maricopa County to compensate Latinos who were pulled over in violation of the order about stopping the patrols. The sheriff's office didn't immediately respond to a request for comment Wednesday on behalf of Arpaio and Sheridan. CBS affiliate KPHO in Phoenix reported in May that taxpayers in metro Phoenix will have to pick up an additional $13 million over the next year to cover the costs of the racial profiling case. Maricopa County, which includes Phoenix, has already shelled out $41 million over the past eight years in the case, must keep covering those legal costs until Arpaio's office is released from the supervision of the case judge -- a resolution that is years away, reported KPHO. Arpaio, who is seeking a seventh term this year, is known nationwide for forcing inmates to wear pink underwear and jailing them in canvas tents during Phoenix's triple-degree summer heat. He has faced his most crushing legal defeats in the nearly 9-year-old racial profiling case, which focused on his immigration patrols. In the first round of punishments, Snow appointed an outsider to redo investigations into allegations of officer wrongdoing that he has deemed inadequate. The judge previously tossed investigations into which managers were responsible for ignoring the immigration-patrol order and into allegations that Arpaio's immigrant-smuggling investigators regularly pocketed items in traffic stops and raids. He also appointed a different outsider to impose discipline for misconduct and barred Arpaio from rescinding such punishments. The latest ruling leaves open the possibility of investigations being launched against Sheridan and other sheriff's managers over their handling of internal investigations.